Pair this costume with other fruit and vegetable costumes, or with a gorilla costume – please make sure it is a costume and not the real thing because, as we previously mentioned, things could get messy - to make the most of any Halloween party. 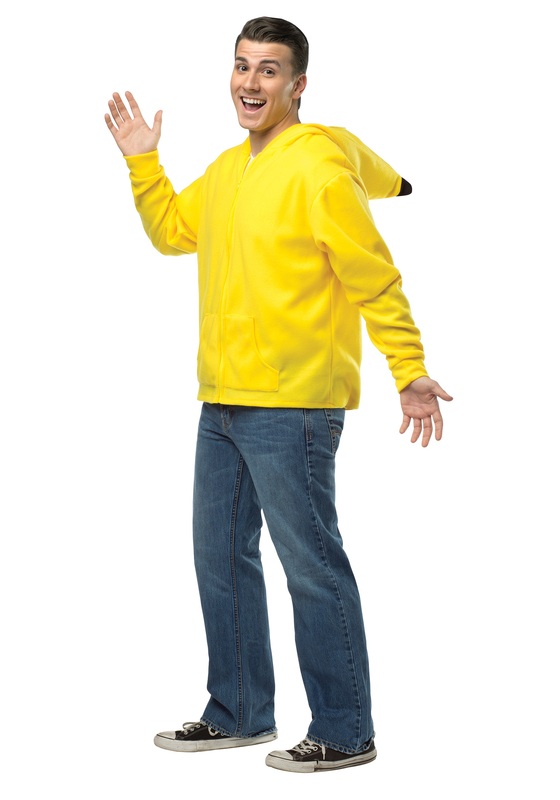 Wherever you go, people are going to notice you and your costume, they may even let out a few laughs as they sing out “bananas” in their heads as well. While this is a plus size option, you can get it in a wide range of sizes, from teen to adult, as well. This Banana Hoodie is a cotton and polyester blend sweatshirt with a separating zipper at front. The sweatshirt portion has a rib knit waistband and cuffs, with additional kangaroo pockets. 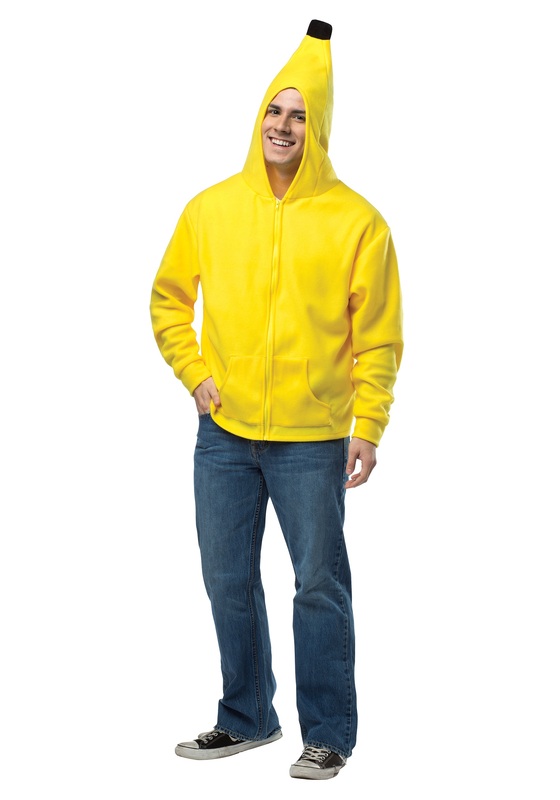 The hood is durable and foam backed, while still keeping its iconic has banana shape and coloring.